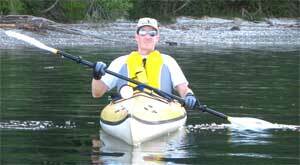 Dr. Calcara enjoys kayaking, pain-free! Apparently not, as my wife grew tired of my frequent complaints and finally told me to see a chiropractor! My wife had been injured in a bad car accident as a teenager. After seeing many specialists, she finally obtained results by seeing a chiropractor. It made all the difference in her health. Meanwhile, I had suffered frequent and sometimes debilitating episodes of back pain, stiff neck and allergies throughout my young life. I’d never even heard of a chiropractor until I met my wife, but after being married just a short time, she coaxed me into seeing one. My experience with chiropractic care made such a difference to me that I changed the direction of my college education. I attended Palmer College of Chiropractic-West, near San Jose, CA. I was fascinated studying anatomy and seeing the body from the inside out. I loved the hands-on part of the education: learning how to adjust the spine to be able to help people. I graduated with honors in 1986. My initial background in chiropractic was in pain relief. As parents of four children, my wife and I realized the importance of a healthy lifestyle when raising our family. 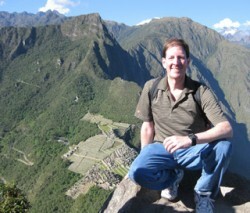 We emphasized good nutrition, lots of physical activity, spirituality and regular chiropractic care. The results? A very healthy family! Now, I specialize in providing prenatal and pediatric chiropractic care to help women experience a comfortable pregnancy and give their children a healthy start to life. I learned long ago, I must practice what I preach. My wife and I go to the gym most mornings each week and we also take frequent walks. When weather and daylight hours permit, I like to kayak, hike and cycle. We eat a lot of fresh fruits and vegetables, supplement with vitamins and minerals and try to consistently get the right amount of sleep. We love the outdoors and the beauties of the Northwest. We also enjoy photography, travel, snorkeling and scuba diving. We are very involved in our church and love to be with our family. By having a healthy lifestyle, our children were raised without vaccinations and antibiotics. And (friends have a hard time believing this), we don’t even own a bottle of aspirin or other pain relievers! Our four children are grown now, three are married, and all are busy in their families, and developing their careers and personal interests. All are as active as can be! 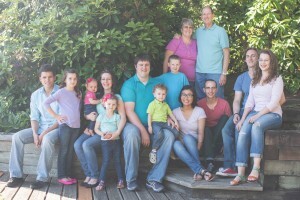 My wife and I enjoy our six small grandchildren and look forward to more in the future! My wife is involved in our practice and coordinates our community outreach programs, where we take various wellness topics into the workplace and other locations. Enough about me! How can we help you with today’s safe and natural chiropractic care? Contact Calcara Family Chiropractic PS so we can help you take your first step toward better health!